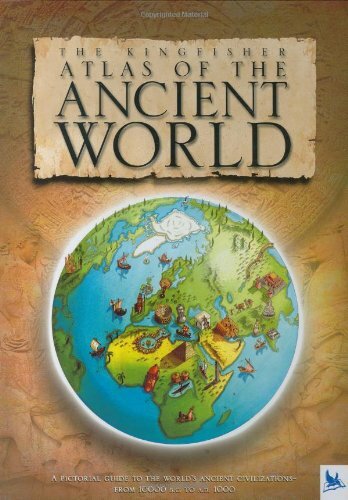 Featuring seventeen beautiful hand-illustrated maps and packed with eye-opening information about ancient civilizations and peoples, this is an unbeatable pictorial guide to what the world was like between 10,000 B.C. and A.D. 1000. Each stunning map shows the major sites from a particular civilization or group of civilizations, with their cities, temples, palaces, farmers, and traders brought vividly to life with detailed picture symbols. Feature spreads use photographs of cultural and architectural artifacts, as well as additional information, to focus in greater depth on the key cultures of Egypt, Greece, and Rome. If you have any questions about this product by Kingfisher, contact us by completing and submitting the form below. If you are looking for a specif part number, please include it with your message. National Geographic Student World Atlas, Fourth Edition: Your Fact-Filled Reference for School and Home!